Whether your are relatively new to the web or a seasoned website guru, the idea of transferring your website to a new host can seem daunting. However, the process is actually very straight-forward and can be accomplished by anyone who can strike keys on a keyboard. And we are here to help you every step of the way. Our friendly tech support team is here to assist you through any speedbumps you may encounter along the way and we provide complete step-by-step guides to help walk you through the process. There are two primary methods with which to transfer: using cPanel tools, or a manual transfer via FTP. 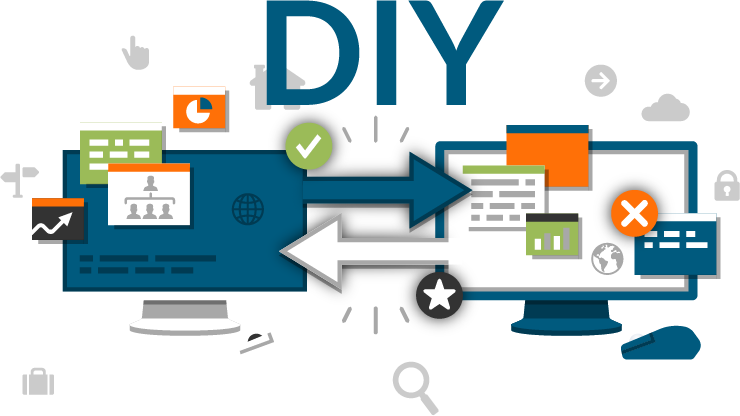 If you are currently with a cPanel host, take advantage of cPanel's simplified migration process. If you are not coming from a cPanel host, moving your site files is still as easy to do as ever. Why pay a professional to do something you can easily do for yourself? Migrating your website to Web Hosting Hub is much easier when coming from a cPanel host. cPanel includes features to help streamline this process so that transferring between hosting providers using cPanel is a breeze. The cPanel transfer process includes all the data you have stored on your account: databases, site files, email, etc. And we provide you with a Temporary URL so that this process can be completed with absolutely zero-downtime to your website. Not using cPanel with your current host? A website transfer can still be completed by anyone. And especially with our tech support team as your guidance, we will have you up and running on your new hosting service in no time. We provide a temporary URL on which to test your website allowing for a zero-downtime process. And if you are using a CMS like WordPress, there are also plugins available for simplifying this process even further. Prefer that a professional handles it? Transferring your website yourself is the fastest way to get up and running with your new host. But for those with more complex transfer needs or for those who find the transfer process to be a little bit more than you can manage, we also offer a transfer service with which we can handle the entire process for you. Let our transfer team handle the heavy lifting while you get back to managing your business or writing your next blog post.